The grid in the western U.S. is a patchwork of 38 balancing authorities. Each balances its loads and resources independently, exchanging energy through bilateral trades. This inefficient system is being strained with the growing presence of variable resources such as wind and solar. 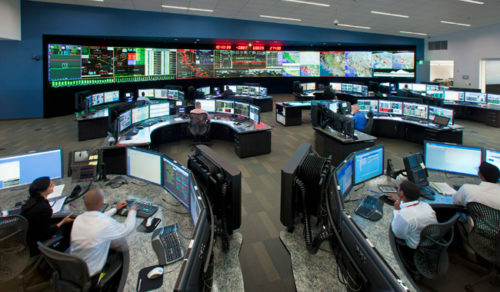 In 2011, the Western Electric Coordinating Council (WECC) engaged E3 to quantify the benefits of creating an automated, bid-based energy imbalance market (EIM) spanning the Western Interconnection. Market participants would be able to trade power every five minutes, improving grid utilization and lowering consumers’ energy costs. Working with WECC staff and utilities, E3 analysts conservatively estimated that a western EIM could deliver a collective benefit of $140 million per year. As the California ISO’s (CAISO) efforts to implement the Western Energy Imbalance Market gained steam, regional utility PacifiCorp retained E3 to examine how it could benefit from joining the new market; PacifiCorp operates in California, Oregon, Washington, Utah, Wyoming, and Idaho. Our analysis informed PacifiCorp’s decision to become the first entity to formally join, in November 2014. The CAISO estimated that the EIM generated more than $35 million in customer benefits within its first year of operation. E3 has since evaluated potential EIM benefits for more than 10 entities, including NV Energy, which joined in 2015, and Puget Sound Energy and Arizona Public Service, both of which joined in 2016. Several others have taken steps to join the market. See the current status of EIM participation on the CAISO website. After successfully participating in the EIM for more than a year, PacifiCorp decided to explore the potential benefits of joining the CAISO as a full member. This would give the utility access to an optimized day-ahead market, as well as coordinated transmission planning and cost allocation for projects to enhance regional efficiency and develop high-quality renewable resources. Our October 2015 report, Regional Coordination in the West: Benefits of PacifiCorp and California ISO Integration, demonstrated that full integration of the two systems would lower costs through more efficient unit commitment and dispatch, enhanced overgeneration management, reduced peak capacity needs, and renewable procurement savings. We estimated that integrating the PacifiCorp and CAISO balancing authority areas would yield significant annual savings that increase over time, by 2030 reaching $200 to $272 million for PacifiCorp and $203 million to $894 million for ISO customers (in 2015 dollars). PacifiCorp’s largest source of incremental savings will be in operating costs—savings in fuel and energy procurement costs that result from participating in the CAISO’s day-ahead market and importing renewable energy from California’s excess supply. CAISO customers will realize incremental benefits primarily from investment cost savings—from procuring lower-cost renewable energy and reducing the need to replace overgeneration with additional renewable energy to meet policy goals. The high end of each range reflects the savings each can realize by jointly planning transmission to access low-cost renewable resources. The potential upside is especially high for California ratepayers. Our study assumed that high-quality wind resource potential in Wyoming would be used to meet a portion of the Oregon, Washington, and California renewables portfolio standard (RPS) targets for utilities in the expanded CAISO. E3 also contributed to an analysis mandated by the California Legislature when it established the 50 percent RPS in October 2015. For the CAISO’s 2016 Senate Bill 350 study, The Impacts of a Regional ISO-Operated Power Market on California, we estimated that procuring lower-cost renewable resources in a regional market would save California ratepayers between $500 million and $1 billion per year. Our work illuminated two pathways for increasing coordination throughout the Western Interconnection. The first is an expanded EIM, which regional utilities are already working toward. The second is fully integrated balancing authority areas, which will be harder to attain but offers much greater benefits. E3’s EIM studies demonstrate that participating provides a low-cost, low-risk way to capture some of the benefits of regional coordination. Utilities can realize savings and generate off-system revenues from bilateral trading while remaining in compliance with state policies. The CAISO and early EIM participants have worked out many operational details, paving the way for others to follow. As participation grows, there will be opportunities to add new products, and total benefits will rise. Further, our PacifiCorp “full participation” study showed that joint planning, operations, trading, and procurement can lower both operating and capital costs. As more states adopt or raise existing RPS targets, we anticipate that more entities will make the compromises needed to achieve a fully integrated market. Our work illuminated two pathways for increasing coordination throughout the Western Interconnection.